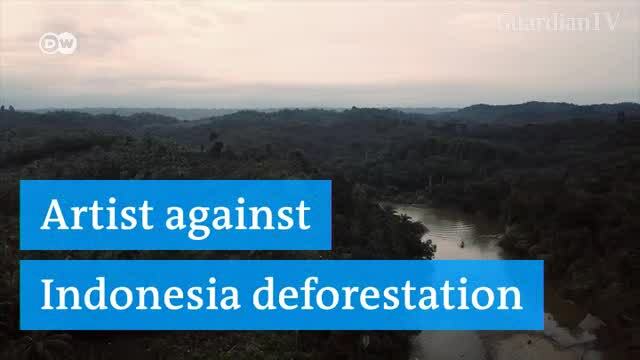 The destruction of rainforests in Indonesia has reached an alarming level. The main reason behind deforestation: plantation of oil palm trees. Ernest Zacharevic, an artist from Lithuania, wants to set up a sign.